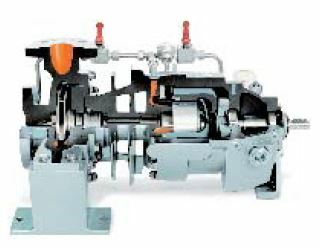 Today, pumps and their associated systems play a central role in all process operations in the energy sector worldwide. These include oil, gas, petrochemical, chemical, power generation and water, together with industries such as food processing, pharmaceutical, steel, paper, agriculture and many others. U.S. Department of Energy studies indicate that pumping systems account for nearly 20% of the world's electrical energy demand and can range from 25% to 50% of the energy usage in certain industrial plant operations. Rising costs, unease over the security of energy supplies and environmental concerns add to the pressures to optimize pumping systems, which can represent a real opportunity for companies and utilities to save money and energy, while reducing maintenance costs and increasing productivity. One consulting group has estimated the current global market for liquid pumps to be $30 billion, growing over the next ten years by around 3% per annum. Western European and North American manufacturers can expect to see the breakneck growth of China's economy, with its lower manufacturing costs, influencing market share during the same period. One tangible effect of this shift will be to accelerate outsourcing strategies in the West, either by seeking more low-cost parts or by own-branding of complementary pumps from other manufacturers. Global price pressures will continue intensifying. Comprehensive Pumping Manual is therefore a welcome aid to all pump users. By combining, in one convenient volume, sections on pump types, basic flow theory, and pump applications, as well as ancillary equipment and services and a buyers' guide, users can find sensible and practical information to help them in making informed purchasing decisions. This is not simply another guide on pumps. Written specifically as a practical reference guide for pump users, Comprehensive Pumping Manual, provides useful information about the outline design, selection and installation of pumps and how these performance. Comprehensive Pumping Manual is not intended to be just 'another' guide on pumps; rather it seeks to address the problems that exist at the interface between pump manufacturers and use. It has been compiled with the help of and benefit from the practical experience of pump users; it’s aimed at everyone who has technical problems as well as these wanting to know who supplies what, and from whom. Comprehensive Pumping Manual can be used in a variety of ways depending on the information required. For specific problems it’s probably best used as a reference. The 'Useful references' at the end of most Sections also provide helpful guidance, useful information and suggestions for further reading. As a guide though, Comprehensive Pumping Manual may be read from beginning to end to obtain a comprehensive understanding of the subject. Of course, individual Sections may be studied separately. 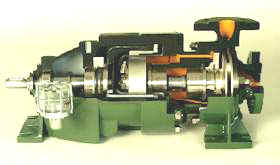 Section 1 is devoted to the main pump types, grouped into Rotodynamic, Positive displacement and types. If the user is unfamiliar with the concepts of 'rotodynamic' and 'positive displacement', then should be reviewed before Section 1 is examined. Which concept is better for a particular application should be known before studying Section 1. The properties of liquids and liquid flow are discussed in the early Sections. The guide then follows a logical pattern with Sections 5 to 10 covering topics such as: pumps and piping systems, flow regulation, materials, seals and sealing, shaft couplings and electric motors. Ancillary products and services are also discussed as well. Testing and quality assurance is dealt with in Section 12. Sections 13 to 15 are devoted to installation, commissioning and maintenance as well as pump efficiency and economics and selection. Section 16 provides details of a number of interesting pump applications that illustrate some of the problems encountered in the practical use of pumps and how these have been solved. This Section embraces a number of pump designs and uses, showing some of the diverse uses for pumps outside the more traditional areas. Solutions to some of the more commonly-encountered pump usage problems are however also given. Section 17 gives useful guidance and information on many pump standards and important units and conversions used in pump technology. 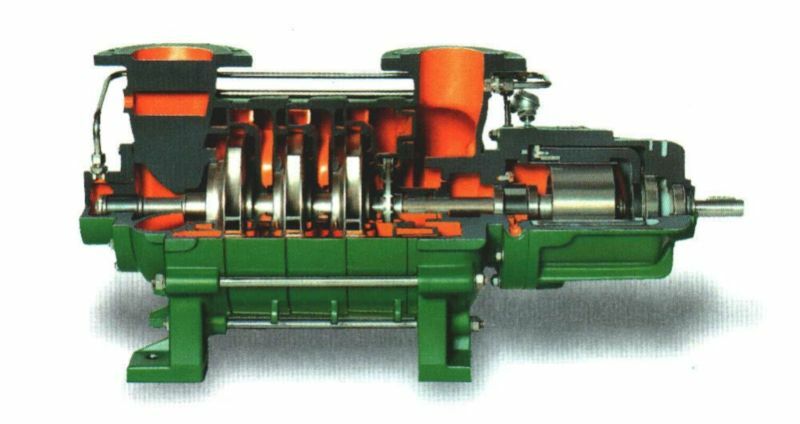 The Buyers' Guide summarizes the various pump types, divided into the three groups: Rotodynamic, Positive displacement and other types. The Guide has been categorized in such a way to impose boundary limits on pump types and the operating conditions available, with the aim of simplifying the choice of supplier from the user's point of view. The Buyers' Guide covers all pump types, followed by ancillary products and services. Trade names are comprehensively listed too. It’s preceded by the names and addresses and contact details of all companies appearing in the Guide. They are listed alphabetically, by country. It’s strongly recommended that direct contact with the relevant companies is made to ensure that their details are clarified wherever necessary.